Martyrs to hypochondria and general seediness, J. and his friends George and Harris decide that a jaunt up the Thames would suit them to a 'T'. But when they set off, they can hardly predict the troubles that lie ahead with tow-ropes, unreliable weather-forecasts and tins of pineapple chunks - not to mention the devastation left in the wake of J. 's small fox-terrier Montmorency. 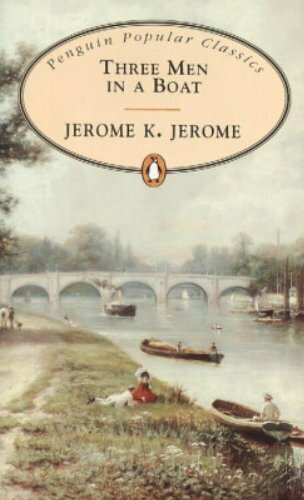 "Three Men in a Boat" was an instant success when it appeared in 1889, and, with its benign escapism, authorial discursions and wonderful evocation of the late-Victorian 'clerking classes', it hilariously captured the spirit of its age.